These Islamic Jihadi loud mouths are nothing but programmed robotic murders. And they are brainwashed to believe they are above everyone else’s law and that non-Muslims should bow on their knees to them. But a district judge in Ohio ignorantly laid what he’ thought was a very simple and succinct ‘smackdown’ on one of these guys as he delivered his sentence. “Nothing you did today even matters.” [Said McNeil] “Jihad will continue until the day of judgment. And that’s a promise from Allah, it’s not going to change. It’s not going to stop. Neither of them are. One to the things McNeil did is post kill lists of members of the U.S. military and actively disseminated ISIS propaganda on social me dia websites. 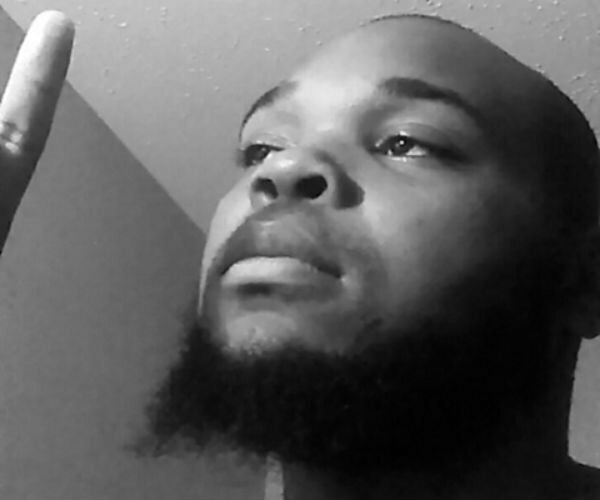 “The FBI arrested McNeil in November 2015 after he used social-media websites to profess his support for ISIS, prosecutors said. A file he posted Sept. 24, 2015 on his Tumblr page had the header "Islamic State Hacking Division," followed by "Target: United States Military" and "Leak: Addresses of 100 U.S. Military Personnel. The file, first posted by someone else in March 2015, is a .gif, which allows multiple images to be looped. The text of the first file encouraged people who saw it to kill the military members "in their own lands, behead them in their own homes, stab them to death as they walk their streets thinking that they are safe..., prosecutors said. Some of McNeil's posts included, "I can't wait for another 9/11, Boston bombing, or Sandy Hook!! !” according to the government's sentencing memo. While reports indicate that McNeil is supposed to pay restitution to military members who took precautions by purchasing guns, moving or installing security systems, one has to question how he is to do that in prison. Again not understood by the Western Mind is that we will never defeat terrorism, because terrorism isn’t the enemy. The Islamic Ideology is… read the Quran, the Sunnah and the Hadith. There are 76 different sects of the Islamic occult the three dominant sects are Sunni Shiah and Wahhabi. Saudis and ISIS are Wahhabi, literal Islam. THE BOTTOM LINE: No, this man McNeil is not getting justice, and neither are those he threatened. This man is being given a 20 year captive environment of people who are just like him in that they have broken the law and now he will have an audience of prospective converts to brainwash. While I understand the judge's statement as a smackdown to McNeil, the reality is that McNeil will no doubt be just like Michael Adebolajo, the devout Muslim Wahhabist who was just following the teachings of the Quran when he murdered Lee Rigby in broad daylight in London, but is now recruiting more jihadis every day while in prison. The real problem here is that the statement that McNeil made to the Judge in court is, sad to say, true…well at least some of it. ‘Nothing we in the west have done or are doing now even matters. Jihad will continue until the Mahdi shows himself.’ True! ‘And that is in fact a promise from Allah/Satan that he is not going to change. Jihad is not going to stop.’ True! And then in the last paragraph, the only truth there is: ‘My commission of Allah is not going to stop.’ True! He will make Jihadist out of all he comes in contact with while in prison. As long as we continue to blindly see Muslims as if they are like any other people we will continue to become more and more in subjection to them. Muslims are brainwashed cultists involved in a progressive indoctrination of demonic control, and they in turn, seek to follow their Quranic programming to subjugate the entire world under the barbaric ideology of Sharia. It’s called the Ummah. That’s the reality of Islamic Jihad my friend.